Flinders Quartetis one of Australia’s best-loved and most highly respected chamber music ensembles, acclaimed for dynamic and stirring performances of a full spectrum of repertoire. The quartet also have an ongoing mission to further the Australian tradition of chamber music by commissioning and premiering new works by Australian composers: all four pieces on this disc were commissioned or premiered by the quartet in service of this goal. 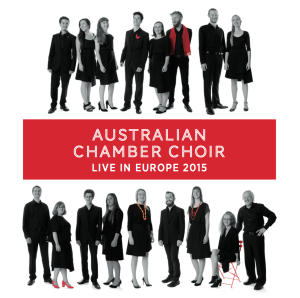 This CD captures a concert of Australian piano music given in celebration of Astra's support of Australian music and artists. For 60 years the Astra Chamber Music Society has presented new Australian music and Australian performers within a context of international new music developments, always informed by cultural perspectives. Moses Hogan: My soul’s been anchored, There is a balm, Didn’t my Lord deliver Daniel?